This report is an outcome of twelve weeks’ Internship Program, a part of BBA program of Department of Marketing, State university of Bangladesh. The topic of the report is “The effectiveness of Merchandizing & Operation process Development on the basis of Dynasty Knit Fashion Ltd.” Actually this is a feedback which department accepts from the students who join in an organization after the completion of theoretical part of the BBA program. And this report is prepared to fulfill the partial requirement of the BBA program. The main objective of this report is to know about the operation & production activities that are offered by the company with a special consideration to merchandising & operation process. So the report talks about the matters that are performed by Dynasty Sweater Ltd. In addition, the study seeks to achieve the objectives written below. The effectiveness of Merchandising on the basis of Dynasty Sweater Ltd.
To analyze the entire operation process Development on the basis of Dynasty Sweater Ltd.
To evaluate the performance of Dynasty Sweater Ltd for previous five years. To find out the strengths, weaknesses, opportunities and threats of Dynasty Sweater Ltd. Relevant Books, Newspapers, Journals etc. The study is mainly concerned with the effectiveness of Merchandising of Dynasty Sweater Ltd. Overviews of the operation & production process of the Dynasty Sweater’s is also covered in the report. This is a descriptive study and the respondents are the whole staffs and executive of Dynasty Sweater Ltd. 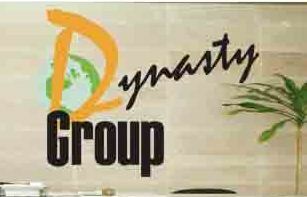 Working area will be Head office and factory of Dynasty Sweater Ltd for preparing the report. The report is not free from limitations. There are some limitations too. Some of them are in point. Secrecy: There are a lot of secret matters in these organizations. As an intern the researcher cannot reach to those secret topics. Technological aspect: The report does not describe any technological aspect. 2.1 HISTORICAL BACKGROUND OF DSL. After the liberation war in order to bring equality in different level of the society Govt. owned all industry. Govt. wants the participation from all levels of the society in development activities through providing industrial service at their doorsteps. But it produces nothing except inefficiency; corruption etc. So govt. decides to allow private garments factory to bring competition in the industrial sector. On the other hand Bangladesh economy has been experiencing a rapid growth. Industrial and agricultural development, growth in exports and imports, inflow of wage earners remittance, local and foreign investment in construction, communication, power, food processing and service enterprises altogether encountered an era of economic activities in both private and public sector. Concurrently, urbanization and changes in lifestyle of people created a growing demand for personal garment products and services to support the new initiatives as well as to encourage owner investments in a profitable manner. So the boom of garments factory has begun in the year 1998, which ultimately gave birth to the Dynasty Sweater Ltd.
Dynasty Sweater Ltd is a public Limited Company – established under the ambit of as a public limited company under The Companies Act 1994 on March 12, 1995. And, it started its commencement of Business from May 25, 1995 at the Registered Office located at , plot#1, Road#12, Block-C, Section-6, Mirpur, Dhaka-1216. Then started Trail Operation from February, 1998 at Aukpara, Savar, Dhaka. Finally started commercial operation from July, 1998 Aukpara, Savar, Dhaka. The inception of Dynasty Sweater Ltd is the outcome of a successful group of prominent investors whose vision was to contribute to the country’s economy through commercial. 2.3 MISSION, VISION AND OBJECTIVES OF DSL. The mission of the garment factory is to become a highly competitive modern product and transparent product comparable to any of this kind at home and abroad. Services: No matter what your garment product need, SHM Traders can provide you with the quality products you require. Every one of our employees from our veteran management team to our production and quality assurance teams is single-minded in its motivation to ensure that our services are absolutely top-notch. Honesty: We know that we stake our reputation on every order. That’s why our prices are extremely competitive and we go the extra mile to ensure 100% customer satisfaction. Because an informed customer is a happy customer, we address your questions quickly and thoroughly. Whether in treasury, consumer, or corporate services, Dynasty Sweater Ltd is committed to provide the best. Meeting the demand of discerning customers is not the sole objective. The garment believes that to provide standard product services is to deliver a quality that makes every transaction a pleasurable experience. The garments also believes that Customer is always right and in the core of everything. So providing them friendly and personalized product services, tailor-made solutions for business needs, global reach in trade and commerce at the doorsteps and high yield on investments are the core objectives of the factory. But the factory also try to do the best in conjunction with achieving the ultimate objective of a business organization – Wealth Maximization. Since the growth and profits of banking business largely depend upon the locations of factory where large concentration of other businesses and industries are involved, Dynasty Sweater Ltd primarily focuses on location-based strategy. Every year an overall profit target as well as individual targets for each line of business (export, import, etc) is set for location by the corporate bodies in collaboration with the regional heads and finance and marketing managers. The factory of Dynasty Sweater Ltd at Aukpara, Savar, Dhaka and head office located at , plot#1, Road#12, Block-C, Section-6, Mirpur, Dhaka-1216. The business strategy of the garment is to strengthen its traditional lending in small retail business, following a conservative lending approach. But the factory’s major portion of the profit generates from its product service. Building upon the base of trust and relationship in line with the management approach of maintaining adequate product quality, the factory has been able to create a corporate client base in the large and medium scale industrial ventures which includes companies. The present strategy of the factory is to maintain and nurture this large corporate client base and search for sponsoring new upcoming ventures in the medium scale industries. TQM: Dynasty Sweater Ltd believes in ensuring Total Quality Management in every sphere of its businesses processes and personnel. The strategy of the mills is to reengineer and upgrade its products and services regularly to fulfill customer expectations and constantly monitoring and improving delivery standards to ensure maximum customer service. The people are also routinely up skilled and empowered to be able to effectively respond to customer needs. The mills also look ahead in the future to make complete automation of its processes. 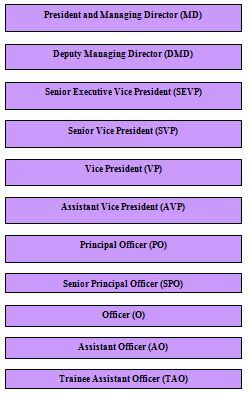 2.5 ORGANIZATION STRUCTURE OF DSL. Like all the other local garments industry, Dynasty Sweater Ltd has a conventional organizational structure. A corporate body conducts a meeting on a weekly basis; the committee is called the Executive Committee. The committee includes Chairman, Vice Chairman, and the group of Directors, Managing Director (MD), and Company Secretary. This executive committee approves the various proposals brought by the management prior to implementation. All the proposals are placed to the committee through the Managing Director of the factory. A number of top executives work under the MD; they are – Five directors, Two Senior Executive Vice Presidents, 0ne Executive Vice Presidents, and one independent director. The proposals are initiated by the mid level managers and then forwarded to the Managing Director through the head office. The factory has also a legal advisor (an advisor firm) & auditors to solve the legal problems and issues faced by the factory. A graphical representation of the hierarchy of the mills is in point. Compile and circulate the foreign countries exchange rate circulars (daily exchange rates, special instruction etc) to the others countries. Administration of company’s’ share related affairs like issuance, providing coupons, right share issuance etc. 2.8 SWOT ANALYSIS OF DSL. Dynasty Sweater Ltd has already established a favorable reputation in the garments industry of the country. It is one of the leading private sector commercial businesses in Bangladesh. The factory has already shown efficiency at staff recruitment. By using good recruiting policy Dynasty Sweater Ltd has provided its producing product with a top leadership and management position. Dynasty Sweater Ltd bring new dimension in recruitment policy by providing recruitment to Fresh MBA’s and BBA’s in mid level. The mills is First in this nature to recruit 40 Business Graduate to bring new flame in HR practice. Dynasty Sweater Ltd has an interactive corporate culture. The working environment is very friendly, interactive and informal. And, there are no hidden barriers or boundaries while communicate among the superior or the employees. This corporate culture provides as a great motivation factor among the employees. It has the reputation of being the provider of good quality product too its, potential customers by its skilled employee. It also offers an attractive compensation package to attract new employees as well as retain existing employees. The main important thing is that the factory has no clear mission statement and strategic plan. The vision of the mills — “A molls with Vision” is very vague. The factory not have any long-term strategies of whether it wants to focus on retail product or become a corporate business. The path of the future should be determined now with a strong feasible strategic plan. Their AD is very much slow to evaluate the employees’ performance appraisal which causes the delay of employees’ promotion. And this is reason for slow recruitment. Another main important thing is that the factory has no HRD. In this moment HRD is most essential for any organization to maintain management. Employees also recruited through directors’ reference that causes sometimes the inefficient and unskilled stuff recruitment. The factory failed to provide a strong quality-recruitment policy in the lower and some mid level position. As a result the services of the factory seem to be dues in the present days. Some of the job has no growth or advancement path. So lack of motivation exists in persons filling those positions. This is a weakness of Dynasty Sweater Ltd that it is having a group of unsatisfied employees. In terms of promotional sector, the factory is in a great problem. It has no proper marketing campaign. But all other competitors expense a lot in marketing. Opportunity in retail business lies in the fact that the country’s increased population is gradually learning to adopt consumer finance. Our population is constantly increasing at a rate of 2.7% per year. The bulk of our population is middle class. Different types of retail lending products have great appeal to this class. So a wide variety of retail lending products has a very large and easily pregnable market. A large number of garments industries coming into the market in the recent time. In this competitive environment Dynasty Sweater Ltd must expand its product line to enhance its sustainable competitive advantage. It can introduce special product for their potential customer. All sustaining industry and upcoming foreign, private company posses an enormous threat to Dynasty Sweater Ltd. The following table can be used to see the above mentioned factors at a glance. Frequent changes of industry rules by the industry ministry. A graphical representation of the garment is in point. This is the age of speed. Now all the people know about the cost of time, cost of quality, better quality etc. So a garment factory has to be very careful in providing product to customer. All buyers are equal and valued. On the other hand every day innovations come- sometime as an opportunity and sometime as a threat. A garment factory must adjust its operation with these opportunity or threats. So to satisfy existing as well as potential customers factory must provide speedy, custom tailored services. Dynasty Sweater Ltd also knows it. And for this reason it makes its strategy time to time. It keeps a careful eye on the current and upcoming events. With the vision of providing the customers the most advanced service, the factory is in the verge of providing the cutting edge technology in today’s garments business – Online business Facility. The process of complete automation of the product of the factory and also being online is presently under way. 2.10 CURRENT 0THERS KEY INFORMATION OF CMC- KTML. Dynasty Sweater Ltd operational capacity from time to time which has been mentioned earlier, the capital structure of the company remained unchanged and likewise the long term loan of the company- saving the devaluation effect- also did not increase as the management of company always put their relentless effort and endeavor to service its debt on time and also to get installed capacity over the years mostly resorting to ploughing back of internal resources of the company. These bellowing information after 11th Annual General Meeting at 15th September 2007. Others Key Information of Dynasty Sweater Ltd.
5 Business Line Manufacturing of 100% garment product. This report I have covered on “The effectiveness of Merchandizing & Operation process Development on the basis of Dynasty Sweater Ltd.” This company is already established company in our country in 1998. This garment is gaining popularity due to its improved quality of product, reliability, product variety, versatility and flexibility. This report is an outcome of twelve weeks’ Internship Program, a part of BBA program, State university of Bangladesh. Actually this is a feedback which department accepts from the students who join in an organization after the completion of theoretical part of the BBA program. And this report is prepared to fulfill the partial requirement of the BBA program. The main objective of this report is to know about the product & Operation process Development that is offered by the company with a special consideration to operational position. So the report talks about the matters that are performed by Dynasty Sweater Ltd. In addition, the study seeks to achieve the objectives written below. The study is mainly concerned with the effectiveness of Merchandizing of Dynasty Sweater Ltd. Overviews of the other commercial activities of the organization is also covered in the report. This is a descriptive study and the respondents are the whole staffs and executive of Dynasty Sweater Ltd.
Garment items are a concept that is gradually gaining popularity in the modern times. People all over the world are becoming more and more aware of issues, such as global warming, pollution and environment protection. The concept of Garment items has been largely accepted as a solution to these issues. Dynasty garments used to add customer value is through distinctive product style and design .It can be one of the most powerful competitive weapons. Design is a large concept than style. It contributes to product usefulness. Company has reputations for outstanding design. As competition intensifies, company design will offer one of the most potential tools for differentiating and positioning a company’s products and services. All Dynasty garments products are designed on a standard, but there is some options to supply products as customer’s order. Dynasty garments has its own product feature that are a competitive tools for differentiation the company’s product from competitor’s product. Company identifies new features and decides which one to add to its product. Pant, trouser, Skirts, Short pant, jacket, sweater belong to its own feature for customer. 4. No minimum order quantity. Dynasty garments always emphasis to ensure better quality for its customer. Quality levels always support the product’s position in the target market. Its always follow the Total Quality Management (TQM) program to improve product and process quality constantly in every phase of their operations. The ultimate goal of TQM is to improve customer satisfaction and value. In developing a product, company first chooses a quality level that will support the product’s position in the target market, because quality is one of the major positioning tools. Product quality stands for the quality of a product to perform company’s functions. It includes the product’s overall durability, reliability, precession, ease of operation and repair, and other valued attributes. In market offering planning of Company, the management needs to think through five levels of the product. Each level adds more customer value, and the five constitute a customer value hierarchy. The most fundamental level is the core benefit: the fundamental services or benefit that the buyers really buying. At the second level, the marketer has to turn the core benefit into a basic product. At the third level, the company prepares an expected product. The Dynasty garments include better service than competitors and also try to supply the better Garments as per buyer requirement. At the fourth level, the management prepares an augmented product that exceeds buyer expectations. The company sometimes arrangement different parties for satisfying the buyer, At the fifth level stands the potential product, which encompasses all the possible augmentations and transformations the product might undergo in the future. A Garments industry is differentiating and positioning strategy must change as the product, market, and competitors change over time. Here we will describe the concept of the product life cycle and the changes that are normally made as the product passes through each stage of the life cycle. The concept of the Product Life-Cycle: To say that a product has a life cycle is to assert four things. Dynasty garments has product life cycle. From life cycle we can easily realize about the sector. # Companies product sales pass through distinct stages, each posing different challenges, opportunities, and problems to the seller. A product is anything that can be offered to a customer to satisfy a want or need. So products that are marketed include physical goods, services, experiences, events, persons, places, properties, organizations, information, and ideas. A product mix is the set of all products and items that a particular seller offers for sale. garments product mix has a certain width, length, depth and consistency. The width of a product mix refers to how many different product lines the Dynasty garments carries. The length of a product mix refers to the total number of items in the mix. The depth of a product mix refers to how many variants are offered of each product in the line. The consistency of the product mix refers to how closely relate the various product lines are in end use, production requirements, distribution channels or some other way. Dynasty garments shall provide adequate measure to ensure the security and safety of all its assets, consisting of its employee, administrative and production facilities, machineries ,equipment, finished goods, accessories ,supplies, and other materials. a) No employee shall be allowed to enter the facility without proper identification card. All employees shall be issued the standard employee’s identification card duly signed & approved by the Management. b) Probationary employee shall be issued temporary ID cards. c) In the event of a change of position and card number, a new card shall be issued and the old one shall be surrendered to the Personnel Department. d) Un-issued cards are to be kept in the factory safe under the control of the Authorized person. e) All prospective employee/applicants shall be screened by performing background check and application verification especially prospective employees who will work in security position of in the packing-shipping receiving sections. f) All applicants shall be required to provide full information regarding their age, education, experience, and such other information as may be considered relevant by requiring the applicants to submit documents such as Bio-data/Curriculum Vitae, Educational Certificate, Age Certificate ,and First job experience /employment certificate (If any).The documents submitted shall be thoroughly scrutinized and verified. g) The factory shall disqualify, or if warranted ,blacklist, any applicant who is found to have intentionally made any false statement regarding any information contained in his/her application and /or curriculum vitae, including attachments. a) A key register shall be maintained by the factory. This will be under the responsibility of the Admin section or any senior member of the staff designated by the management. b) The key register shall record the holders of all keys relating to factory gates, production room, showroom & other rooms, safes , padlocks, filing cabinets, etc. c) The register will record the name and signature of holder of each key as well as the date the key was signed for. In the event that the safe has a combination, then the name of the folder of the combination is to be recorded in the same manner as that of a key holder. d) Duplicate keys are to be hold by a nominated officer, who is not a key holder, and the combination details, if there’s any(contained in a sealed envelope) are to be held by the one of the Directors or as authorized by the Management. a) No vehicle shall be allowed to enter the factory premises without proper authorization / identification. b) All company vehicles are identified with registered plate numbers listed with guard on duty. The list of company vehicles authorized by Management to enter the factory premises shall be updated regularly. c) Visitor car’s, Cargo truck’s & Container vehicle’s are not allowed to enter the facility unless with Authorization letter from nominated Cargo Agent/Trucking Companies and/or Shipping lines. D0 Parking space for company and employees vehicles is located separately from the visitor’s car parking space. a) Loading dock shall be restricted to authorize employees only. Authorized employees are the shipping Supervisor and Shipping Assistants. b) Shipping dock, loading dock and cargo areas shall be monitored and secured. The shipped supervisors, Shipping Assistants, and Security In charge shall monitor all loading/unloading of cargo at specified place and check and monitor all incoming /outgoing cargoes for all shipments. Shortages and overages in incoming and outgoing goods shall be monitored and should be reported to customs. c) All inbound and outbound containers shall be inspected for tampering and shall be loaded under the supervision of the shipping supervisor, shipping assistants, and security in-charge. When containers are tampered/damaged/contaminated, customs and other law enforcement agencies shall be notified immediately. d) Seals on inbound and outbound containers shall be checked and verified by the shipping supervisor to make sure that match shipping documents. All seal and container numbers shall be recorded in al logbook. When there are abnormalities with seals or seal number. Customs and other law enforcement agencies shall notify immediately. e) Finished goods containers shall be sealed after loading by the shipping supervisor and factory Manager. f) Empty and full containers shall be locked and in a designated and secured area to prevent unauthorized access. a) All factory properties and equipment including machineries, fabrics and accessories, finished goods, garment samples, garments for washing, scarp materials, office supplies, and other materials when brought out of the factory premises, shall be covered by an approved gate pass or equivalent documents like delivery challan or scrap sales invoice. b) The security guard shall not allow any item to be brought outside of the factory premises without this covering document, which should bear the signature of the store In Charge/Admin Manager/Factory Manager/any official authorized by the Management to approve the gate pass/delivery challan/scrap sales invoice. c) Factory properties may be brought out the factory premises for use in official transactions only or as authorized by the Management. d) Likewise, all incoming goods and materials shall not be allowed to be brought inside the factory premise under authorized by the factory Manager/Admin manager / Store In– charge or as authorized by the management. Though it is a production base industry, its prosperity depends on production. Dynasty Garments take necessary action to enrich in production by worker satisfaction. There is no organization which can reach its goal without the motivation of its employees. Employee motivation arise when their needs and drive are fulfilled by the organization. When environment & culture of organization is favorable to employee needs and drive then employee are well motivated. Every organization take various necessary steps to motivate their employee well. Dynasty garments is located at Aukpara Sagver Dhaka , It is a 100% export oriented readymade garment industry. It began its operation with the object of highest level quality product & its development. Near about 5000 employee are engaged to continue its operation. To motivate the different kind of employees & worker Goldtex garments ensure the following facilities. 1) Salary : Salary is the very important issue to motivate every employee. Employee come to an organization for earning money .The salary system of the company are followed by the BZPZA rules and condition. In every month salaries are paid on 10th day of the following month . 2) Increment : Yearly increment is provide to every employee at the rate of minimum 10 % of their salary .It also increased 70% according to their performance. Company consider performance according to attendance, behavior, skill , loyalty etc. 3) Provident Fund : After confirmation every employee can get the provident fund facility .Company contribute from his side 8.33% of the basic for each employee. 4) Medical Allowance : The company has a medical center situated in the EPZ zone, Beside Goldtex Garments has also one medical clinic. One MBBS doctor and one nurse always remain present to take care of any kind of patient. Moreover one ambulance always remain present to bring any kind of emergency patient. 5) Transport facility : Company provide free transport facility for employee. 6) Group Insurance : To insure life security of employee, the company take group insurance scheme. 7) Financial loan : If needed emergency money leys any employee, the company has a loan facility system. Any employee can get this loan facility in case of emergency through loan application as per company rules. 8) Incentive Bonus : To inspiration the employees working condition,the company give incentive bonus for the achievement of their targets. 9) Attendance Bonus : For encouraging the employees, the work, reducing absence and turnover, attendance bonus is given by the company. If any employee attends regularly in his/her duty every month he/she will get the attendance bonus. 10) Holiday : If company arrange any emergency work on any holiday, the employee is entitled for holiday allowance. Non –financial incentive : These kinds of incentives are as follows. motivated to fulfill their commitment to the company. facilities at home and abroad. environment for retain employees long time and to ensure commitment. Many organizations have contacted surveys in recent years regarding employee retention in the face of intense competition for talent and the extraordinary costs of recruiting and training new employees. To evaluate of job satisfaction, many company take to frame questionnaires for data collection & hold interview afterwards. Production is the hart of the factory. Dynasty Garments Division Production sequences are set down with combined work force of expatriate and local technicians. 15 Standard lines in total covered factory space 1,15,000 SFT has created opportunity to employee 5000 persons. Experts from world-class fashion houses frequently visit for necessary renovation to match with the latest creativity in the field of garment manufacturing. After getting the order from the customer Gold Limited Garment Division have a strong production process to fulfill the requirement & quality as per customer demand. After receipt the Fabrics from the supplier for production, the following activities are to be taken. Completing the inspection step by step, all the fabrics are stored by roll in the racks & all the information’s will be keep by a storng data base system. *** Dynasty Garment Division is taking the preparation to collect a modern new automatic cutting machine withen a few month. 15 Standard lines in total covered factory space 34711 SFT ( 296′ x 120-3″ Long x Width) has created opportunity to employee 1570 persons. Style wise the following sewing activities are undertaken after receipt of the cutting fabric. (Regular Garment ) in different washing method : Like – Garment Washing, Enzyme Washing, Enzyme + Stone Washing, bleaching Washing & Cap Washing. Goldtex Limited Garment Division have Expertise in Garment Dyeing & Functional Finish, i.e. Garment Dipping in Wirinkle – Free, Stain release & repellent & Moisture Management. Merchandising with mandatory regulations in the industry is now crucial Continuous enhancement of product Quality provides a competitive edge in today’s garments market. By monitoring a local factory / supplier & it’s manufacturing process ranging from: fabrics to garments, company structure to management, manufacturing capability to quality systems, working environment to safety polices & other criteria can also be incorporated. As an international corresponding part of this country, garment industry is the main venue in where we can develop our both inside & outside of human knowledge in any of other foreign areas. Today garment merchandisers have to move with frequent changes in demand & the developing technologies utilized in manufacturing & production. To find out customer requirements they regularly visit retail outlets & come up with latest updates from frontline staff. In order to keep an eye on development in sourcing, site visits are made every week to maintend factories to meet suppliers & study production. In garment merchandising there is no specific rule, So it’s important to be able to think on one’s feet. Merchandising in garment is not synonymous with merchandising being practiced in consumer product companies. It is much broader in its scope, activites & responsibilities. While in consumer product companies, its merely restricted to POP- ( Point of Purchase ) promotions for product in the stores to make it more cisible & attractive for the customers in order to increase sales: but in Garment it means much more than this. Dedicated merchandising & marketing team ensures most competitive pricing in the world market, ethical sourcing & on time delivery with shortest possible lead time for all the valued customers round the globe. It’s Hong Kong and Bangladesh office support its merchandising & marketing operations to provide intimate service to its clients. Production to shipment, all the operation process of Dynasty gmts are conducted through channel.All finished goods were stored after production. Finished goods were keep in store as per buyer requirement. Finished goods were shipped out as buyer conformation. 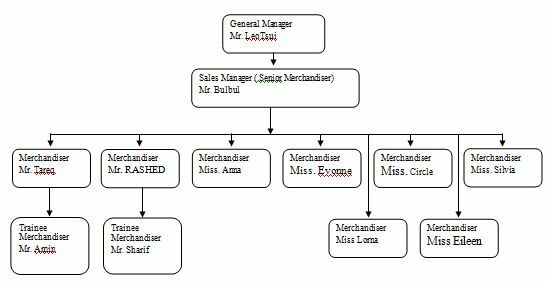 Merchandising & Marketing system. It’s head office maintain the vital role to direct sourcing of buyers or buying houses & other activities also. On the other hand the office basically operate the production development & production procedure to achieve the buyer satisfaction. Now a day of few the local BD office merchandisers are trying to communicate with the buyers & buying houses to collect new orders. Though this forwarding steps are tide with some bounds but it is crystal clear that this tine steps will bring the vision come true in the up coming feature. Dynasty garments, it is a own investment garments industry in near EPZ locality, its operate its merchandising & marketing activity in globally since 2000. Its effectively run its merchandising & marketing activities within the world and increasing its Merchandising & marketing activities day by day. The aim of its to identify the customer and try to gain order form them by giving the promotional sample. There are many merchandising office are already taken for marketing in Europe & America region. Merchandising policy of Dynasty garments is the process of planning and executing the conception, pricing, promotion and distribution of ideas, goods and services to create exchanges that satisfy individual and organizational goals. It holds that achieving organizational goals depends on determining the needs and wants of target markets and delivering the desired satisfactions more efficiently and effectively then competitors do. Merchandising concept of Dynasty garments dose not mean the company profit, should try to give all customers everything they want. Company must balance creating more value for customers against making more profits for the company. The purpose of merchandising arketing concepts of Dynasty garments is to make profit through customer’s satisfaction. # Rapid skimming: This strategy makes sense when a large part of the potential market is unaware of the product; those who become aware of the product are eager to have it and can pay the asking price; and the firm faces potential competition and wants to build brand preferences. # Slow skimming: This strategy makes sense when the marketer is limited in size; most of the market is aware of the product; buyers are willing to pay a high price; and potential competition is not imminent. # Rapid penetration: This strategy makes sense when the market is large, the market is unaware of the product, most buyers are price sensitive, there is strong potential competition, and the until manufacturing costs fall with the company’s scale of production and accumulated manufacturing experience. # Slow penetration: This strategy makes sense when the market is large, is highly aware of the product, is price sensitive, and there is some potential competition. # It improves product quality and adds new product features and improved styling. # It shifts from product- awareness advertising to product-preference advertising. # It lowers price to attract the next layer of price-sensitive buyers. In the first phases, the sales growth rate starts to decline. There are no new distribution channels to fill. In the second phase, sales flatten on a per capita basis because of market saturation. In the third phase, decaying maturity, the absolute level of sales starts to decline, and customers begin switching to other products and substitutes. Company assumes that, price is the amount of money charged for a product or service, or the sum of the values that consumers exchange for the benefit of having of using the product or service. The pricing strategy of Dynasty garments has operated as the major determinate of buyer choice. This is still the case in poorer nations, among poorer groups, and with commodity-type products. Company always implementation their pricing strategy as per buyer satisfaction. The main aim of pricing policy not gain new customer but also retain existing customer through customer satisfaction, Price is the marketing mix element that producers revenue; the other produce costs. Price is also one of the most flexible elements: it can be changed quickly, until product features and channel commitments. At the same time, price competition is the number one problem facing companies. Yet many companies do not handle pricing well. The most common mistakes are these: Pricing is too cost-oriented; price is not revised often enough to capitalize on market changes; price is set independent of the rest of the marketing mix rather than as an intrinsic element of market-positioning strategy ;and price is not varied enough for different product items, market segments, and purchase occasions. Dynasty garments cover their pricing strategy according to the above pricing Mix to survive effectively over the competitor. Dynasty garments consider the following factor to implementation the pricing strategy. Before setting price, the company must decide on its strategy for the product. If the company has selected its target market and positioning carefully, then its marketing mix strategy, including price, will be fairly straightforward. At the same time, the company may seek additional objectives. The clearer a firm is about its objectives, the easier it is to set price. Example of common objectives is survival, current profit maximization, market-share maximization, and product-quality leadership. Price is only one of the marketing-mix tools that the company uses to achieve its marketing objectives. Price decisions must be coordinated with product design, distribution, and promotion decisions to form a consistent and effective marketing program. Decisions made for other marketing-mix variables may affect pricing decisions. The decision to position the product on high quality will mean that the seller must charge a higher price to cover higher costs. Costs: Costs set the floor for the price that the company can change for its product, the company wants to change a price that both covers all its costs for producing, distributing, and selling the product and delivers a fair rate of return for its effort and risks. Pricing Types :Company follow the Different kind of pricing for effective marketing. A quantity discount is a price reduction to buyers who pay their bills promptly. A typical example might be “$10 per unit for less than 100 units, $ 9 per unit for 100 or more units.” Quantity discounts must be offered to all customers and must not exceed the seller’s cost savings associated with selling large quantities. These savings include lower selling, inventory, and transportation expenses. Discounts provide an incentive to the customer to buy more from one given seller, rather than from many different sources. A seasonal discount is a price reduction to buyers who buy merchandise or services out of season. Seasonal discounts allow the seller to keep production steady during an entire year. # Customer-segment pricing: Different customers pay different prices for the same product or service. # Product-form pricing: Different versions of the product are period differently, but not according to differences in their costs. # Local pricing: Different location is priced differently, even though the cost of offering each location is the same. For discriminatory pricing to be an effective strategy, certain conditions must exit. The market must be segmental, and the segments must show different degrees of demand. Members of the segment paying the lower price should not be able to turn around and resell the product to the segment paying the higher price. Competitors should not be able to undersell the firms in the segment being charged the higher price. In using psychological pricing, Dynasty garments consider the psychology of prices and not simply the economics. Another aspect of psychological pricing is reference prices-prices that buyers carry in their minds and refers to when looking at a given product. The references might be formed by noting current prices, remembering past prices, or assessing the buying situation. Sellers can influence or use these consumers’ references prices when setting price. Companies that market their products internationally must decide what prices to charge in the different areas in which they operate. In some cases, Gold can set a uniform worldwide price. The price that a company should charge in a specific area depends on many factors, including economic conditions, competitive situations, laws and regulations, and development of the wholesaling and retailing system. Consumer perceptions and preferences also may vary from area to area, calling for different prices. Merchandising communications are attempts by Dynasty garments to influence the behavior of the markets for its products or services. “Using merchandising promotion merchandising executive communicates with the target markets to inform and influence their attitudes and behaviors. Marketing communication tells the target customers that the right product is available at the right price and at the right place. Promotion and communication is used synonymously kiln marketing literature. Communication can also be viewed as the transmission of information. Marketing communication is the various tools used to inform and persuade people that a firm directs toward its target markets, channel members, and the public in general. According to our recent study on Operation process of Dynasty garments and its development . In the marketing point of view promotional mix is very important for Dynasty garments. Advertising is defined as any paid form of no personal communication about Dynasty garments product, service, or idea by an identified sponsor. Advertising is the best –known and most widely discussed form of promotion, probably because of its pervasiveness. It is also a very important promotional tool, particularly for companies whose products and services are targeted at mass consumer markets. Advertising can be used to create image and symbolic appeals for Dynasty garments selling products and services that are difficult to differentiate on functional attributes. Another advantage of advertising is its ability to strike a responsive chord with buyer when differentiation across other elements of the marketing mix is difficult to achieve. Direct Marketing in which Dynasty garments communicate directly with target buyer to generate a response and/or a transaction. For example Dynasty garments also sells of its product through direct marketing. Maximum selling systems are direct marketing. Publicity refers to no personal communications regarding Dynasty garments product, service, or idea not directly paid for or run under identified sponsorship. It usually comes in the form of a news story, editorial, or announcement about Dynasty garments and its products and services. Like ad, publicity involves no personal communication to a mass audience, but unlike advertising, the company does not directly pay for publicity. From the above discussion we see that the tools of marketing are very important. The wide range of communication tools, messages, and audiences make it imperative that Dynasty garments move toward integrated marketing communications. This way good relationship can be maintained successfully, between buyer and seller, marketing academics called “relationship marketing”. Sampling may be defined as the selection of some part of an aggregate or totally on the basis of which judgments or inference about the aggregate or totality is made. In other words, it is the process of obtaining information about an entire population by examining only a part of it. In most of the research work and surveys ,the usual approach happens to be make generalizations or to draw inferences based on samples about the parameters of population from which the samples are taken. All this is done on the assumption that the sample data will enable him to estimate the population parameters. The item so selected constitute what is technically called a sample, their selection process or technique is called sample design and the survey conducted on the basis of sample is described as sample survey .Sample should be truly representative of population characteristics without any bias so that it may result in valid and reliable conclusions. Though it’s a production based organization, so it is effective for research to select the consequence number of staff, those who are directly involve on production. Nature of the universe, Number of the classes proposed, Nature of the study, Type of the sampling, Standard of accuracy and acceptable confidence level, Availability of finance, Other consideration. There are two alternative approaches for determining the size of the sample .the first approach is ‘to specify the precision of estimation desired and then to determine the sample size necessary to insure it’ and the second approach ‘uses Bayesian statistics to weigh the cost of additional information against the expected value of the additional information’. The first approach is capable of giving a mathematical solutions, and as such is a frequently used technique of determining .The limitation of this technique is that it does not analyze the cost of gathering information vis-à-vis the expected value of information. The second approach is theoretically optimal, but it is seldom used because of the difficulty involved in measuring the value of information .Hence ,we shall mainly concentrate here on the first approach. This refers to the number of items to be selected from the universe to constitute a sample. Company own of the best supply chain in the Garments industry in the garments industry in Bangladesh. It is one of the premium fabrics supplier in the region. Its well known product quality is second to none in the textile industry. Having own fabric mill not only reduces the lead time for production delivery, it also improve its ability in area such as product development and sample making. In addition, it has office in mirpur to assist the source the right material and accessories. Table 1.3: Financial performance of DKFL. Every company is established for earning money. That is a main goal of any organization. So Dynasty garments Ltd as like. Gross Profit is Turnover less cost of goods sold. This bar chart shows last five years gross profits. Company had earned Tk.50166000 in 2003. After one year company had earn Tk.38867000. Company also had earned Tk.43858000 in 2005. Dynasty garments Ltd had maximum Gross profit earn Tk.52269000 in 2006. Company had again decrease Gross profit in 2007. Gross profit was Tk.43064000. Dynasty garments Ltd established in 1998. This company’s main goal is earns some money. Net Profit is Turnover less cost of goods sold, and then we found Gross profit. After then gross profit less operating expenses less provision for income Tax. Finally we got Net Income (after Tax). This bar chart shows last five years Net profits. Dynasty garments Ltd had maximum profit earn Tk.19021000 in 2002. After one year company had earn Tk.7610000. Company also had earned Tk.9763000 in 2004. Company had Net profit earn Tk.9883000 in 2005. Company had again decrease Gross profit in 2006. Gross profit was only Tk.270500. Company conducted out audit in accordance with Bangladesh Standards on Auditing (BSA). Those Standards require that company plan and perform the audit to obtain reasonable assurance about whether the financial statements are free of material misstatement. An audit include examining on a lest basis, evidence supporting the amounts and disclosures in the financial statement. An audit also includes assessing the accounting principles used and significant estimates made by management, as well as evaluating the overall financial statement presentation. Financial activity has lot of areas. The financial statements prepared in accordance with Bangladesh Accounting Standards (IAS) with reference to the notes and schedules therein give a true and fair view of the state of the company’s affairs as on 31 December 2007 and comply with the Companies Act, 1994 and other applicable laws and regulation. Notes: Annexed notes form an integral part of these accounts. And figures have been rounded off to the nearest taka and wherever found necessary; last year’s figures have been re-arranged. Modern Commercial Textile Mills is challenging business. The rewards are modest; the penalties for bad looking are enormous. Spinning Textile Mills are great monetary industries, important to the general welfare of the fabric more than many other fabric industries. CMC-Kamal Textile mills is an emerging Mills. The Textile mills have only completed ten years of Yarn services. At the initial stage of business, every institution has to go through the difficult path of survival. To achieve the confidence of the customers, the Mills must execute some improvements in its marketing and operational areas – CMC-KTML should try to win customers faith by providing them efficient and dependable services and updating with user friendly modern technologies.